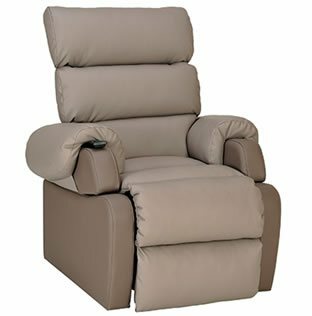 The Cocoon Electric Riser Recliner is a stylish design. It is completely waterproof and can be cleaned very easily. You can rest assure that when relaxing in your Cocoon Electric Riser Recliner that you’re chair will be completely protected in case of any accidents. Swing away armrests. This allows users to get in and out of the chair with less difficulty due to the improved access. Wheelchair users can slide themselves onto the Riser Recliner without restriction from the armrests. The armrests can also be detached entirely which increases the seat width of the chair. Complete with anti-pressure points the chair helps with posture and will help where a user may have sensitive areas of their body. The Cocoon can accommodate a whole range of users with a maximum user weight of over 20 stone. At 3r mobility, all of our electric riser recliner chairs include free delivery to your door, or you can opt for our engineered delivery.